In Africa, everyone knows about the famous Big 5 – lion, leopard, elephant, rhino and buffalo, the most dangerous and impressive inhabitants of the bush – but did you know about the Ugly 5? The members of the Ugly 5 are the underrated animals of the African bushveld with faces only their mothers could love. Learn more about the Ugly 5 so you can tick them off your sightings list when you visit Tuningi Safari Lodge in Madikwe Game Reserve. 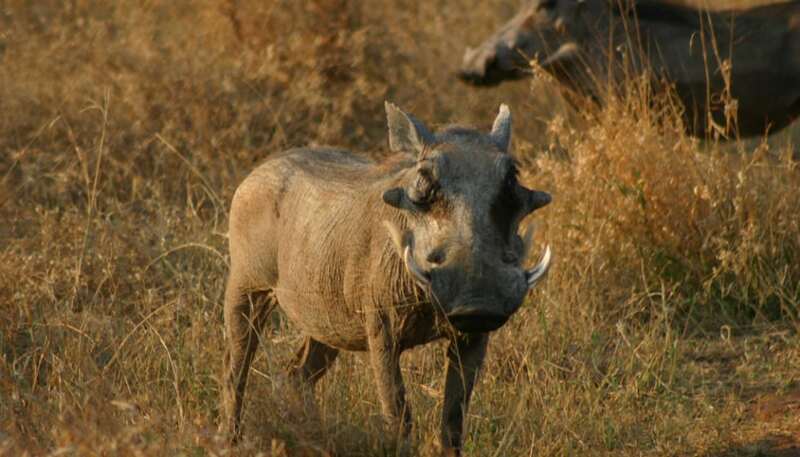 The inspiration for Puma from The Lion King and a lover of mud and dust baths, the warthog is a fierce looking pig with a mostly placid temperament. Warthogs are mostly bald with tufts of hair along their jaw and a thicker mane along their backs – giving the impression of a mullet and mutton chops beard – a quirky combination. Warthogs also have four tusks – two of which are usually visible, and a large snout used to dig for roots and bulbs. Comically described by our safari guides as an animal made from spare parts – wildebeest are said to have the back legs of a hyena, the torso of a zebra, the head of a buffalo and the mind of a guinea fowl. These out-of-proportion antelopes don’t seem to know whether to hang out with zebra or impala. 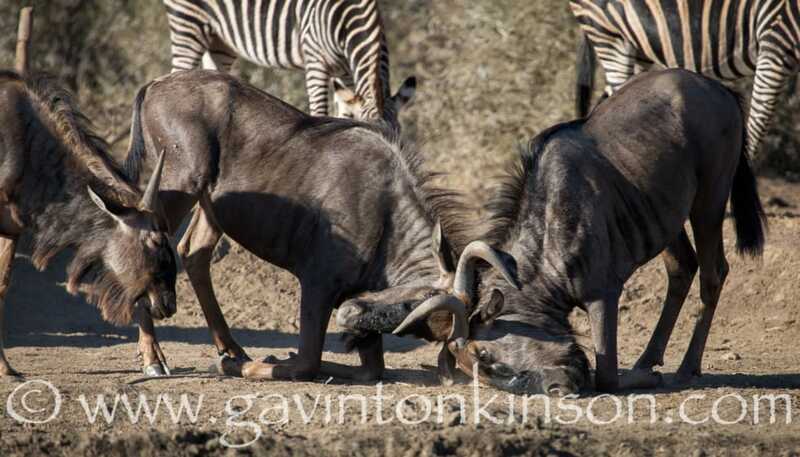 One apt term used to describe a herd of wildebeest is an ‘implausibility’. Hyenas have unfounded reputation for being the cowardly carrion-stealing scavengers of the bush. They are however, more than just the villains in The Lion King, being skilled hunters with one of the strongest jaws in Africa. Though you may not fall in love with the looks of adult hyenas, their pups are some of the cutest babies in the animal kingdom. Vulture are the vicious, carnivorous, squabbling harbingers of death in Africa. Rather than circling dead animals, they coast on thermals looking for their next meal. When it comes to vulture groups feeding around a carcass, they are called a wake, and when the birds are in flight formation, they are known as a kettle. Many have featherless heads and necks good for preventing bacteria and parasites from causing infection, but bad for their overall menacing image. 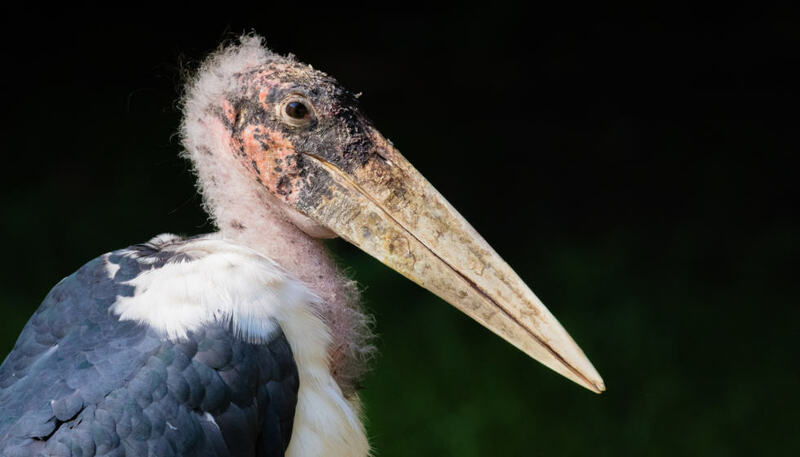 Possibly the ugliest duckling of them all in Africa, the Marabou stork is known as ‘the undertaker’ because of his cloaked, hunched appearance and skeletal legs. Marabous have bald heads and necks with a large bill, a pink gular sac near the throat and an unattractive habit of defecating on their legs giving them a white appearance. 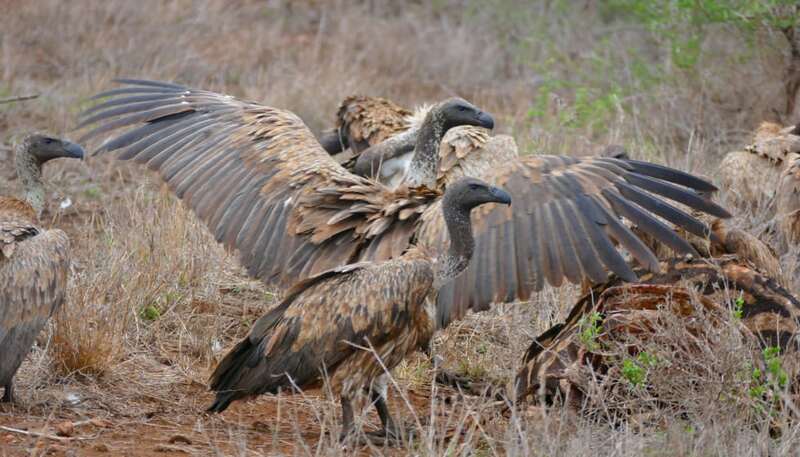 They have the largest wingspan in Africa (about 11 feet) and will join vultures and hyenas to scavenge off of a carcass. If you’d like to book your safari at Tuningi to go in search of the Ugly 5, please don’t hesitate to contact our friendly reservations team via email at book@tuningi.co.za or fill in our online booking form.